Update : Version 1.0.1-1 released ! Crack is out !! 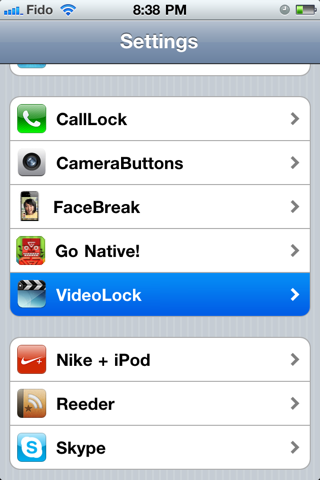 VideoLock lets you lock the screen of your iPhone, iPod, or iPad without pausing video playback. This will prevent you from having to restart playback each time you want to put the device in your pocket or turn off the screen. 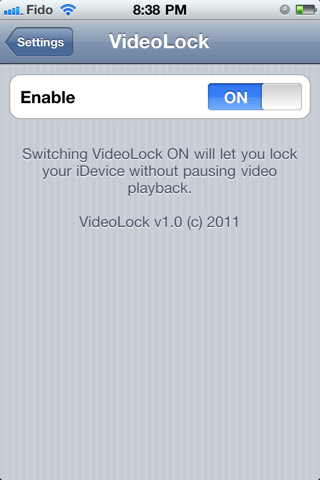 VideoLock has been testing working with the iPod player, YouTube, Safari, and Vevo. It will likely work with many other apps as well.